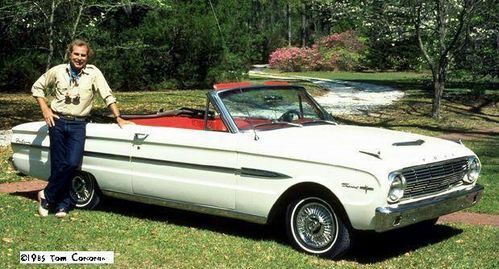 Jimmy Buffett's 1963 Ford Falcon Sprint Convertible is being auctioned off on ebay. Location: I gotta go where it's warm. If I win the powerball tonite it's MINE!!!! Life rewards the ones that got it down..
Would someone buy this for me? So 18 bids. Current bid of $16,500 has not met the reserve price. I was so much older then, I'm younger than that now! 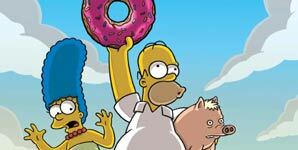 J.LeP wrote: So 18 bids. Current bid of $16,500 has not met the reserve price. If it includes a dinner with Heather, I know someone who might be interested. Any BN'rs bidding on this? myke212 wrote: Any BN'rs bidding on this? Cool old car, even if it hadn't belonged to JB. Dude, just drive it to Key West when JB is suspected to be in town. Try and get it autographed instead. Nice and big on the hood. Looks like the auction has ended with a top bid of $17,800 - probably not even in the ballpark of what the seller would let it go for. Location: St. Thomas, but not the one in U.S.V.I....Canada!!! Harbour Shark wrote: Looks like the auction has ended with a top bid of $17,800 - probably not even in the ballpark of what the seller would let it go for. Do I need to send you $1 usd or cad????? Wow, $17,800 and it's not even at the resesrve yet, I wonder what he thought he would get for a Falcon convertable. Maybe he couold trade it to George Costanza for the John Voyt car. Great idea, but a day is too short! What if 52 of us each gave $500 for $26,000 then we could have it for a week. What a time-share concept!!! You could drive it on your Florida vacation... We could keep it at the destination, say Key West, and it would be the vacation wheels! So I'm inline at a fast food joint grabbing a quick lunch today. Guy behind me: "Is that a Margaritaville shirt you've got on?" "I once sold a car to Jimmy Buffett." Turns out the guy spent most of his life in the Mobile, AL - Pensacola corridor. He says in about 1988 or so, Jimmy came in to his dealership in Daphne, AL, and traded in a '64 Ford Falcon to get a Honda (Accord, I think he said) for his parents. We chatted for a bit, I told him If he's moved on to selling jets or yachts, Jimmy might still have his business card. I remembered this old thread, and all the information he had checked out, so I don't think he was pulling my leg. Now I'm just two degrees of separation from being Jimmy's BFF.